Bringing you the best of Russian ballet news. The Mariinsky's The Sleeping Beauty has received its share of controversial press, not for the quality of the productions --for there are two-- but for the history behind them. When Sergey Vikarev's version debuted in 1999, it divided the Mariinsky troupe in two, those both for and against the work. The "original" which was adjusted by Konstantin Sergeyev for the Soviet audience in 1952, and now also known as the "1890" production due to its roots in Petipa's original, continues to rotate in the company repertoire, while the Vikarev version has been quietly shelved. George Balanchine's Jewels dates back to 1967, but its composition is such that it is a timeless piece due to its depth of symbolism and pallet of both choreography and music. During this year's Festival, the Mariinsky presented Jewels exclusively using its own dancers, some of which are new and promising talents indeed. The gem-based visual triptych, for those who have never seen it, centers on the idea of three gemstones, with one act dedicated to each. The composer for each section, the speed and nuance, and even the steps differ. Emeralds comes first to the hauntingly beautiful music of Faure, set in cool green tones. The score ranges from careful adagio tempi to faster petit allegro, and the choreographic patterns often use the theme of crossing: second arabesques, crossed arms, coup de pieds (crossing one leg behind the other at the ankle), and croisé positions. This optical weaving lends a specific effect to the movement, much of which underscores the French influence in ballet. The Young Choreographer's Workshop has been held annually (except for 2018) during the Mariinsky Ballet festival as a means for amateur choreographers to present their creations in order to, in the best case, ignite or shift into a choreographic career. The best works from the festival are said to be adopted into the rotating repertoire (although in practice, those that are, run quite rarely). This year the workshop offered seven works by both known and unknown creators, starting with the more experienced Yuri Smekalov and ending with the promising Ilya Zhivoy. In 2018, as Russia celebrated the "Year of Petipa" in honor of Marius Petipa's 200th birthday, the annual Mariinsky Ballet festival was cancelled and replaced with a handful of Petipa works. This year, the festival returned to the Mariinsky stage in Russia's northern capital on 21 March, issuing in 10 consecutive evenings of ballet. 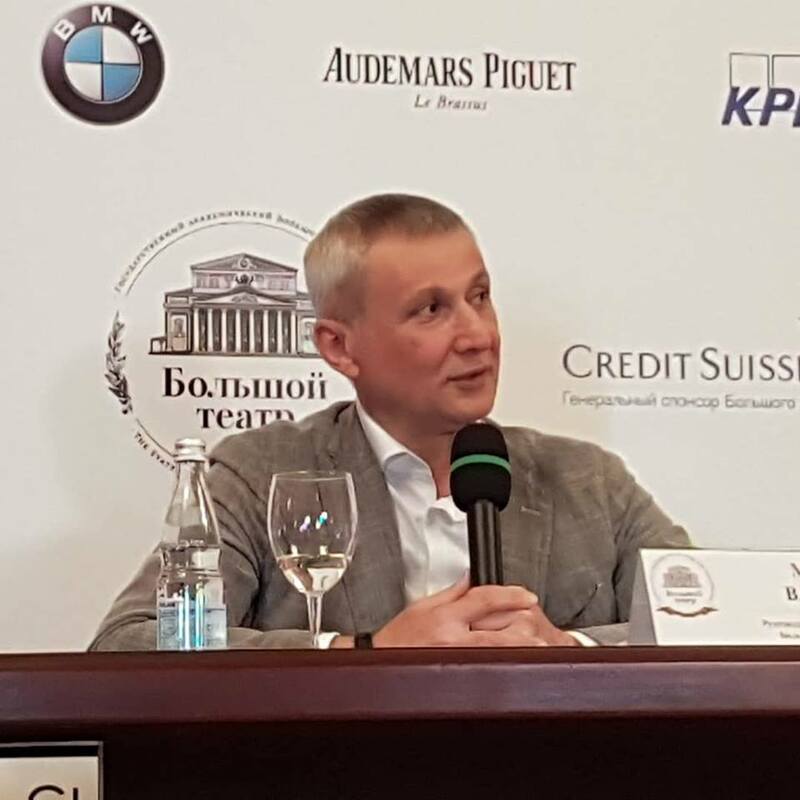 Head of the troupe, Yuri Fateev, long ago stated he views the Mariinsky not as the holder of Russia's Petipa traditions, or the recipient of the Vaganova Academy's best graduates -- although arguably it should include both-- but aims to make it into the "ABT of Russia". This festival has shown just how much he has moulded the company towards that vision since he took on his position in 2007. Gone is the all-Russian roster and in its place a conglomeration of international graduates, punctuated by international guest artists during this particular festival. The first two nights, titled An Evening of American Choreography, eschewed classical traditions and replaced them with importations from the New World. American Choreography opened with Balanchine's Serenade, before shifting to Robbins' In the Night and concluding with the Mariinsky premiere of Twyla Tharp's When Push Comes to Shove. The Pharoah's Daughter, one of Marius Petipa's original ballets, is a work nearly unknown in American and European houses but that reigns supreme on the Bolshoi stage, where today it is almost exclusively performed. However, those performances occur quite rarely. A block of Pharoah performances closed out last season in July 2018 for those Muscovites who had not already abandoned the city for vacation time. This week Moscow audiences enjoyed their only glimpse of the ballet for the current season in a series of 6 performances over the span of 4 days. This large-scale work, in every sense of the word --from sets and costumes, to the large number of cast members and even animals required for all three acts-- is a restoration by France's Pierre Lacotte dating from 2000. The libretto sets the action in ancient Egypt, where a British explorer finds himself smoking opium and falling into a dream. Reminiscent then of the last act of Bayadère (Solor too smokes opium before his dream of the Shades), Pharoah also has components of Romeo and Juliet's star-crossed lovers: the heroine Aspicia throws herself in the Nile River when she cannot be wed to her beloved Taor. But in a true fairytale twist, she's saved by the God of the Nile, who resembles Poseidon with a trident and long golden locks. The March block of performances featured a series of debuts, including Margarita Shrainer next to Vyacheslav Lopatin in the leading roles and, on closing night, the ever-reliable Ekaterina Krysanova alongside Vladislav Lantratov in his debut as Taor. VaganovaToday has been following the rehearsal process the last few weeks at the Bolshoi with Forsythe representatives Noah Gelber and Kathryn Bennetts, who have been setting Artefacte Suite on the Bolshoi. A full review will appear in Dance Europe magazine in the December/January issue. But the two-ballet programme, which also includes a new version of Petrushka by choreographer Edward Klug is a purely modern addition to the Moscow troupe's repertoire that is challenging in terms of the speed and coordination required in these newer, non-classical forms of movement. VaganovaToday wishes the casts all the best in the upcoming premiere on 20 November 2018. Merde! 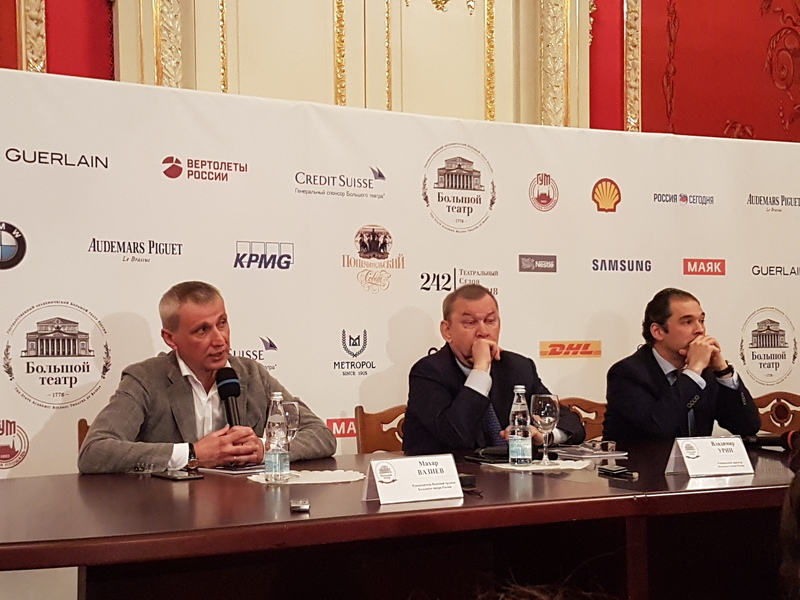 As early as spring 2018, sidewalk signs and metro billboards held the poster for the International Ballet Stars Gala to be held at the Kremlin on 7 October. The list of international participants was impressive indeed, including stars from Berlin, Vienna, Norway, Saint Petersburg, and of course Moscow's local Stanislavsky, Bolshoi, and Kremlin troupes. Sponsored by the Vinokur Fund, and filmed for Russia's Kultura TV channel, the large-scale production required intense coordination by producer Mikhail Sheynin, best known for his work producing the controversial film "Mathilde" about the life of Mathilde Ksessinskaya, the pre-revolutionary ballerina who had a relationship with Tsarevich Nikolai. The Kremlin Gala itself held no such scandals, just a 3-hour evening of pure dance, ranging from classical to neoclassical works and including modern creations. Two promising young Bolshoi stars, the poster children for the event, Alena Kovaleva and Jacopo Tissi, opened the evening with a Dedication to Petipa choreographed by Vasily Medvedev against the backdrop of a young corps de ballet from the Kremlin Ballet's troupe. Tissi's attentive partnering through various mixtures of classical poses and promenades served as a stable backdrop for the lovely Kovaleva, donning a black tutu with a "half-moon" tiara. The choreography was not complex but adhered to the classical canon in a nod to this ongoing celebration of Marius Petipa. Briantsev, a name little-known outside of Russia, is a classical genius who previously held the post of artistic director at the Stanislavsky Ballet, a post that Laurent Hilaire now holds. Briantsev disappeared in 2004 while on business in Prague at the age of 57, not returning to for his ballet season as planned, and he has not been seen since. His ballet, Illusive Ball, (referred to as "Spirit Ball" in the New York Times), is a short work set on five couples against three walls of diaphanous drapes in dim lighting. 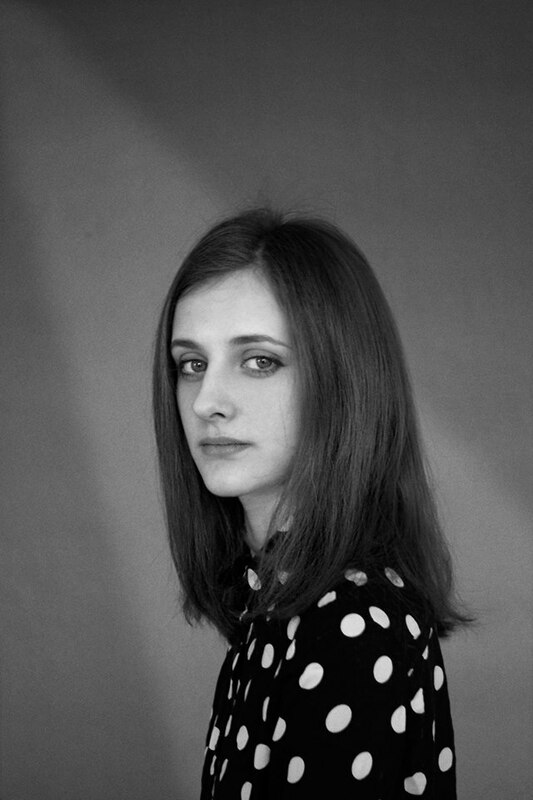 You graduated in 2011 from the Vaganova Academy under Ludmila Kovaleva, a pedagogue who has trained some of the biggest names in ballet, including Diana Vishneva. What was it like working with her? I really love and respect Ludmila Valentinovna and am very thankful to her for all the knowledge and skills that she gave me. Even now, it is very interesting for me to work with her, not only on technique, but also on my roles. She has an uncanny ability to connect technical elements to the meaning of a ballet role, so that these elements become inseparable from the character and you no longer need to worry about them when you perform them, they just come to you naturally. One interesting note about Ludmila Valentinovna teaching is that she comes up with movement combinations right during the class, without preparing them in advance at home like many other ballet teachers do, and so her class is always integral, proper and exhilarating. I do not know how she does it with such ease! Her rehearsals always inspire me and fill me with the desire to continue to perfect myself, reach new horizons in my profession, and see the main goals on my journey with greater clarity. Perhaps it is because Ludmila Valentinovna knows how to grab your interest by making simple steps in a variation come alive, making it nuanced and colourful. The main houses in Russia have devoted their spring seasons to Petipa, either highlighting warhorse classics that are, in this country, constantly in the rotating repertoire, or creating special gala evenings to honor the choreographer. In March, the Mariinsky began a series of performances honouring the great master, inviting artists from the Bolshoi and beyond to dance Petipa works [link to Alexandrova Don Q]. And after a series of Bayaderes last month, the Bolshoi held two gala concerts with mixed-bill divertissements including foreign guests as its own tribute. The Moscow evening, which clocked in at a cool four hours, included 20 excerpts from various ballets. Sadly, following nods to the main players -- Sleeping Beauty, Talisman, Swan Lake, and Don Quixote -- the rest of the programme veered into neoclassical or even modern territory, encompassing Macmillan's Manon, Roland Petitis's Le Rendez-Vois, Preljocaj's Le Parc, and works by Wheeldon, Gsovsky, Patrick de Banaa, Sidi Cherkaoui, Russell Maliphant and others. (Manon was last performed at the Mariinsky on May 1, 2005, when the troupe's rights to the ballet ended, and only recently has the Perm Ballet obtained rights to Macmillan works, making even an excerpt from the ballet a delicious treat). In and of itself this departure from classicismm wasn't a problem, since many of the works were expertly performed during this gala, but the focus on Petipa was lost entirely at points. Some of these pieces would have fared better in a simple international ballet evening without the Petipa focus. Le Parc, for example, runs regularly at the Mariinsky; and the modern works performed by Manuel Legris and Isabelle Guerin were intriguing if flat, but nonetheless misplaced on this bill. Grigorovich's approach, however, retains many of the Petipa basics, with the addition of his personal adjustments to both choreography and sets, but no significant alteration to the libretto. The overture that accompanies the curtain opening, for example, set to the dance of the fakirs, differs from the Petipa version that runs at the Mariinsky. Just four years ago, I first interviewed Nadezhda Batoeva for Dance Europe magazine. At the time, she was a promising young new addition to the Mariinsky Theatre, just five years into her employment with the troupe, who explained the challenges in entering and training at the Vaganova Academy. 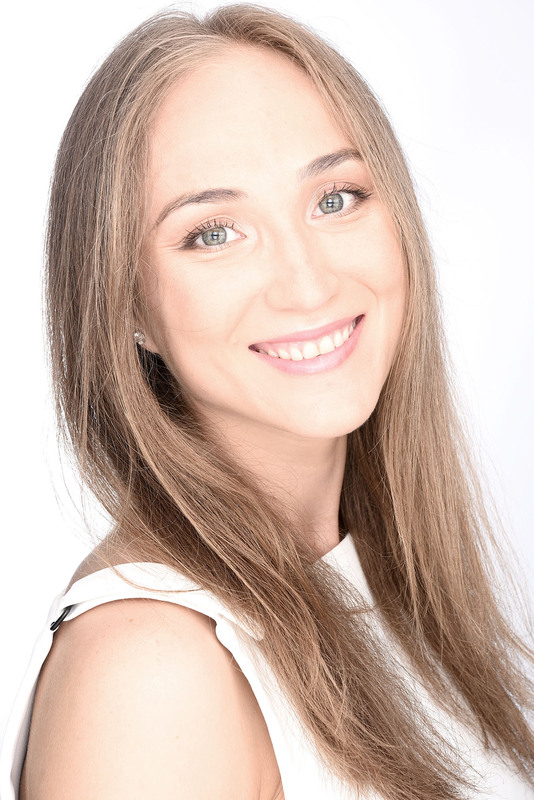 Coming from a family of mechanical engineers, Batoeva's background was far from the world of ballet and at first, it wasn't easy. "Only in the last 3 years [of study at the Academy] was I given a more favoured position in class and allowed to stand in the centre of the barre (an honoured position for the best students)," she said in that interview. And yet, now a first soloist with the troupe, just one rank away from principal dancer, one would never have guessed that the young ballerina had had earlier struggles. On 21 March she debuted as Odette-Odile in Swan Lake, the acid test in Russia for any classical ballerina. In the reliable hands of Xander Parish as her Prince Siegfried, Batoeva made her mark with a fresh interpretation of this traditional role. Though hailing from France, Marius Petipa, who would have turned 200 years old on March 11, made a name for himself in Saint Petersburg, at the then "Bolshoi Kamenniy", now Mariinsky Theatre, where he served as balletmaster for 34 years and where the bulk of his ballets premiered. In his "Year of Petipa", the house that the great choreographer called home replaced their annual international ballet festival with a hybrid version focusing on Petipa ballets. Rampant with Sleeping Beauties at the start, the festival moved on to include guest artists from Moscow and New York, and even a debut in Swan Lake. 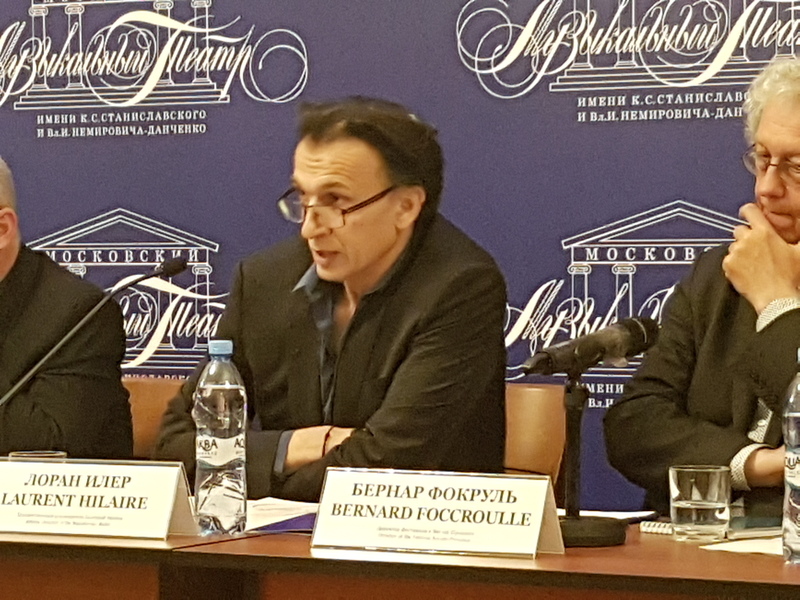 In touching base with Makhar Vasiev of the Bolshoi Ballet last week, the discussion turned to the topic of stage space, in particular, the lack of it on the Bolshoi's two theatres. As many know, the new stage was built for use during the reconstruction of the historical stage. But as Vasiev points out, they're not the same size. "The main stage has 1680 seats. The new one, about 830." These are low numbers indeed when compared to the world's leading theatres. "In Paris, the Opera Garnier holds 1800 people and the Bastille has 2700 seats. So on a given day, they are selling 4500 tickets," Vasiev explained. "The Mariinsky is similar, the historical stage holds 1600 people, the new Mariinsky stage has 2000 seats, and the concert hall about 1100. The Mariinsky conglomerate is therefore selling approximately 4700 tickets per night." The same is not true for the Bolshoi. The low volume of ticket sales are due to the lack of performance venues in Moscow, ironically the country's capital and where one would expect to encounter more options, not fewer. "We need a third stage, and it should be the same size as our historical theatre," Vasiev says. For a viewer exposed regularly to Moscow's ballet offerings, the flash and speed of Grigorovich's unique works at the Bolshoi fill a certain niche that accents the largesse of this capital city. 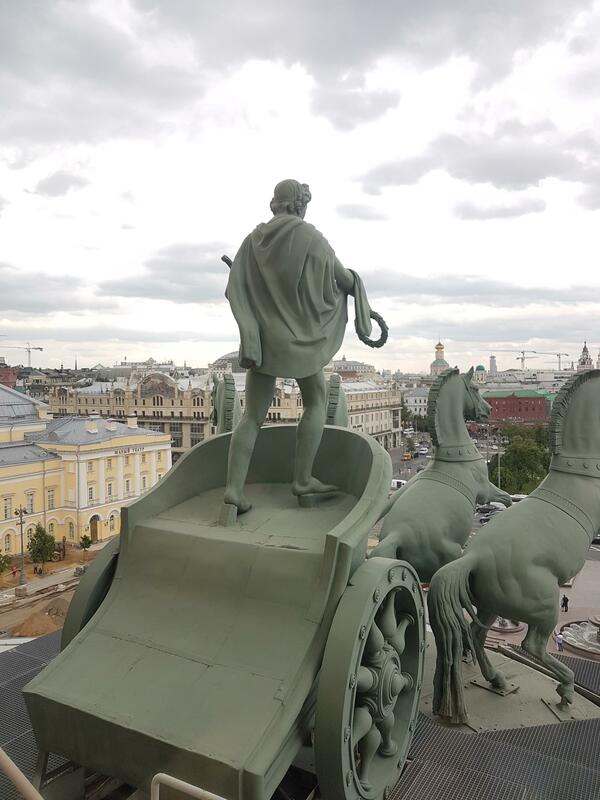 But travelling to Russia's northern capital, the more restrained, aristocratic atmosphere in the formerly Imperial city of Saint Petersburg has an undeniable attraction that remains nparalleled worldwide. On the eve of the VI Saint Petersburg Cultural Forum, the Mariinsky Theatre was gearing up for distinguished performers (piano virtuoso Denis Matsuev on 16 November) and guests (President Putin at the opening ceremony). But a routine schedule continued to fill the Mariinsky Theatre that week, with Swan Lake running just two nights before the Forum began. The upper stage of the Bolshoi Theatre: a small auditorium located under the building's roof, complete with a small orchestra pit and audience seating that mimics the actual stage where performances are held. It is a hallowed yet impressive space, and today it's empty except for a small team of six people: Alyona Kovalyova, her partner Yakopo Tissi, two coaches, a pianist, the conductor...and me. It is just five days before Kovalyova and Tissi's debut in Swan Lake. 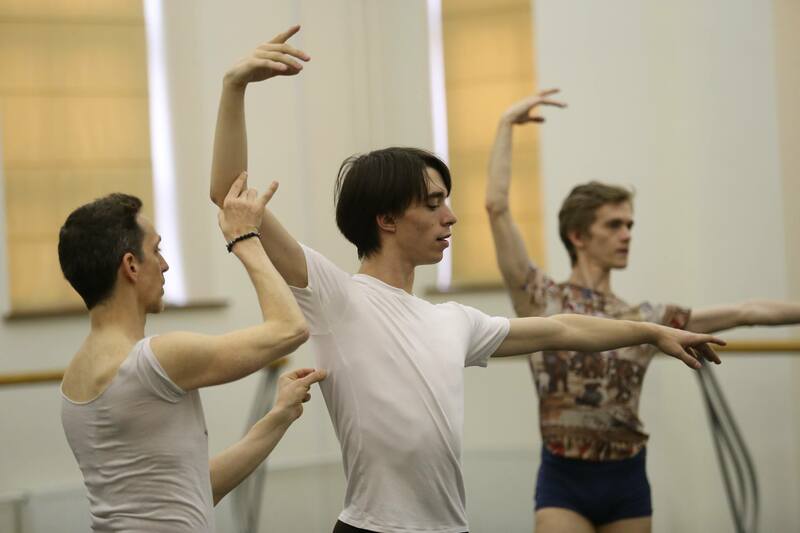 As the dancers rehearse, their coaches, former Bolshoi soloist Alexander Vetrov and former Kirov ballerina Olga Chenchikova, lead the rehearsals to the sounds of a single piano onstage. The conductor for the premiere, Aleksey Vogorad, sits to mark notes about the score and inquires frequently about the tempo while the rehearsal goes on. I was born in Detroit, Michigan. My mom was born in Latvia, but moved to Moscow at age 10. She was an opera singer but always loved ballet and wanted to be a ballerina but it didn't work out. Her mother also was a singer and also loved ballet ...but it also didn't work out. My dad is the American side, he's more into politics. It was my mom's idea to start me in ballet because when I was young she saw that I had some physique, talent and potential. When I was 4 years old, she took me once per week to ballet class. By age 6 I attended a studio with a Russian ballet teacher and studied with her from age 6 to age 12. Alyona Kovalyova, who graduated from the Vaganova Academy in 2016, is now beginning her second season at the Bolshoi. With already several premieres under her belt, this Saturday, 16 September, she will debut as Odette-Odile in Yuri Grigorovich's version of Swan Lake on the Bolshoi main stage. We wish Ms. Kovalyova every success in her upcoming debut, and will report back on the results! What was the atmosphere like at the school? It was interesting at the school because you go from a childhood period to a more adult one very quickly, and at age 12 you have classes from Monday through Saturday usually until 8 p.m. We couldn't wear nail polish or makeup, we had a uniform of specific leotards so that everyone looked the same, and we worked very hard. It was difficult. Our pedagogue was strict we had good-natured competition in our class, but that atmosphere actually united us together. You were born in Saint Petersburg, and your parents were involved in ballet -- how did you become involved in it? My parents both danced at the Maly - Mussorgsky Ballet Theatre (now the Mikhailovsky) in Saint Petersburg. My mother graduated from the Vaganova Academy in the class of perfection under Natalia Dudinskaya and my father graduated under Anatoly Nisnevich. They decided I should start ballet, sent me to the Vaganova Academy, and I was accepted, so at first it was their initiative. When did your own desire to dance appear? During my second year the desire to dance arose, I set some goals for myself and decided to forge ahead. My first grades had not been great because I didn't have the desire to be there, but after I understood what my profession involved and what it was all for, then I had my first successes and accomplishments, further progressed and became a hard worker. In early June, Noah Gelber and Stephanie Arndt, both formerly with the Forsythe company, flew to Moscow to begin to set Second Detail, the first Forsythe work that the Stanislavsky troupe will perform. 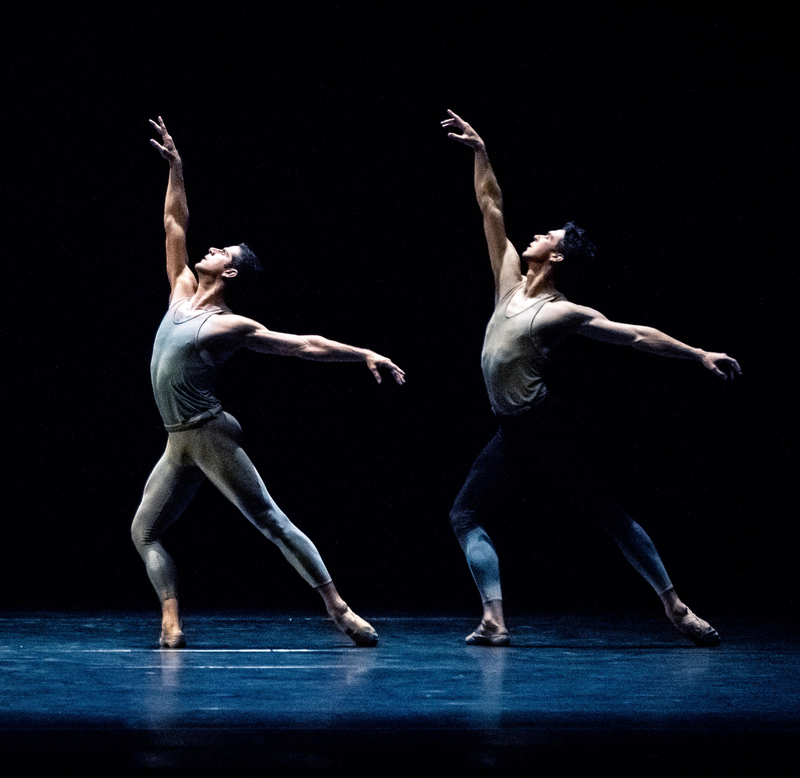 The premiere will be part of a mixed bill that takes place on 6, 7 and 8 July, along with Serge Lifar's Suite en Blanc and Jiri Kilyan's Petit Mort. The 275th Vaganova Academy Graduating class delivered its only performance at the Kremlin Theatre on 21 June after first displaying its talents in Saint Petersburg on the Mariinsky stage. Despite the fact that the performance presents, for all intents and purposes, students who are on the literal verge of becoming professionals, Muscovites nonetheless managed to pack the huge Kremlin hall to the brim in order to get a glimpse of what Russia's newest generation of graduates have to offer. You directed the ballet troupe at Teatro alla Scala for 7 years. How did that differ from running the Mariinsky? Everything was new for me: a new system, a new culture, new values. Although there are general human values that are shared as well, there were a lot of revelations for me. As interesting as it was for me in Italy, when working in the Bolshoi or Mariinsky Theatre you always know that it is a large empire, and there's some sort of guarantee -- that's the presence of the Vaganova Academy for the Mariinsky and the Moscow Choreographic School for the Bolshoi, and that's a huge strength. La Scala also has their own school but it’s not what we have here. After all, our school, our training system is distinguished by the fact that there is practically no place else in the world where students are taught and graduate on the basis of classical dance through means of a complex system of classes: character dance, historical, duet, ballet and others. The Stone Flower, a decidedly Russian ballet based on the Ural fairtytale by Pavel Bazhov, first appeared in 1957 and is said to have started Yuri Grigorovich on his career as a young choreographer. The work focuses on the story of a young stone carver, Danila, who will stop at nothing to uncover the secrets of his art form, venturing to the underground lair of the Mistress of the Copper Mountain in order to reveal the magic of the stones, and in so doing, leaving his earthly beloved, Katerina, behind. Alexei Miroschnichenko isn't new to choreography. With experience settings works in cities such as New York, Belgium, Saint Petersburg, and beyond, it was his early exposure to creating that led to his appointment as balletmaster of the Perm State Ballet troupe in 2009. In a collaborative effort as part of this year's XVII International Ballet Festival Mariinsky, he presented his version of Swan Lake based on a libretto by Vladimir Begichev. This version eschews the politically correct happy ending of the Mariinsky's current Soviet version, and instead presents a new slant on the traditional double-suicide finale. A somber, but more realistic closure to the classical work. One's first foray to the historic Bolshoi Theatre, especially in its still post-renovation splendor, is an event indeed, and what programme could more symbolically mark the occasion inside precious piece of history than Balanchine's Jewels, a triptych that highlights the different moods and tones of three gemstones with a separate act devoted to each. 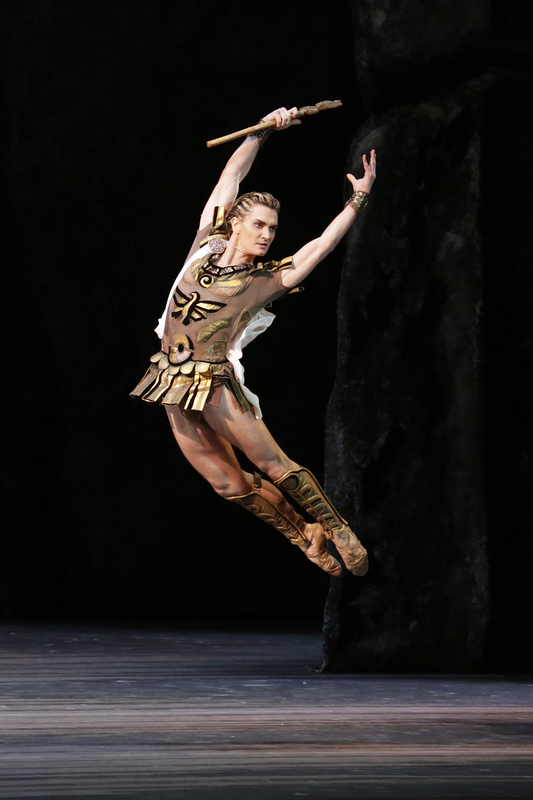 - On 9 February, Artemy Belyakov reprised the role of Crassus in Spartacus at the Bolshoi. --Former Bolshoi Star, now freelancer Prima Maria Alexandrova debuted in Alexei Miroschnichenko's Cinderella in the city of Perm. --The Perm Ballet Theatre travelled to Moscow to present 2 performances as part of the Golden Mask Awards for the past season. 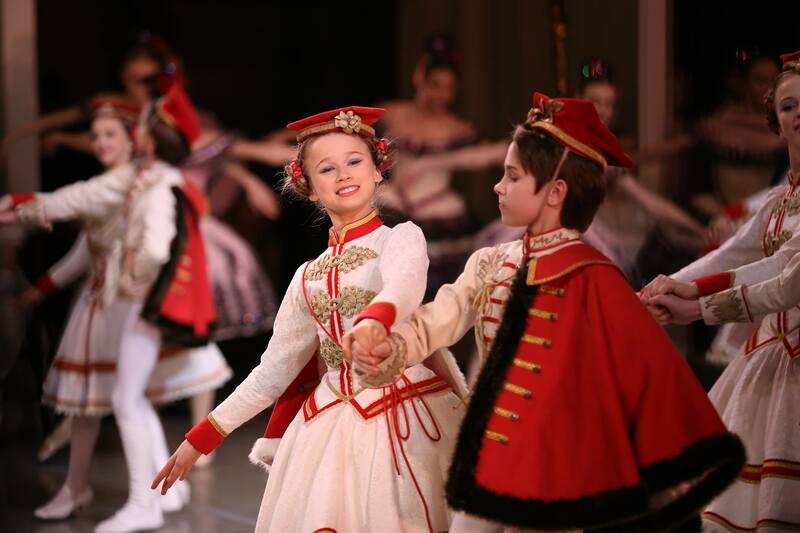 The first night, 25 February, they danced Alexei Miroschnichenko's Nutcracker and the second night 27 February, at the Helicon Opera Theatre, they performed Robbins' Four Seasons. - Another set of performances the scandalously popular ballet, Nureyev, closed out the month at the Bolshoi. Note to readers: VaganovaToday has experienced some plagiarism issues recently from print magazines. All reviews on this site are copyrighted. On 14 December, an historical event took place in the city of Perm, Russia, deep in the Ural mountain region. The Perm State Opera and Ballet Theatre, known for its adherence to classical traditions, premiered the ballet La Bayadere for the first time in its history. 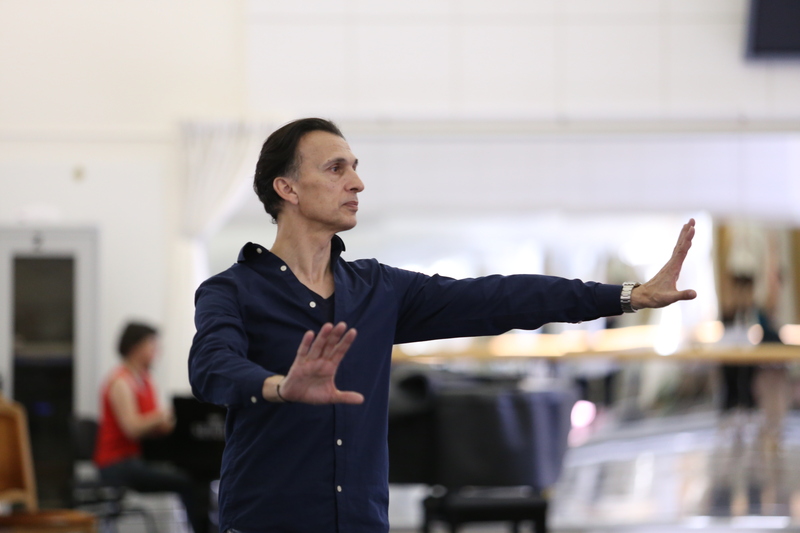 The grand-scale, luxurious production is the brainchild of head balletmaster and renowned choreographer Alexei Miroshnichenko, who devoted endless resources and energy to ensuring the project came to fruition. "Petipa is the golden basis of our repertoire", Miroshnichenko announced prior to the premiere. It then follows logically that this key white ballet should, after decades, finally find its place in the Perm Ballet's permanent repertoire. 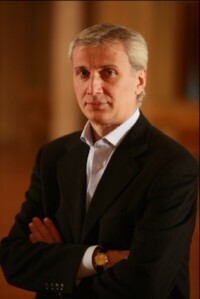 The path to the premiere was not without its own challenges, however: with less than a month to the premiere, Miroshnichenko was told the ballet would be cancelled due to budgetary constraints. Not one to accept defeat, Miroschnichenko, fuelled with passion for his work and for the Perm troupe, searched for external financing to continue the ballet, and delved into the Ballet Fund he created in order to make ends meet. Adjustments were made to costumes and sets up until curtain time, calling upon local supporters for additional help, but the final result was an utter triumph: one of the richest, most polished renditions of this classical warhorse on any international stage. 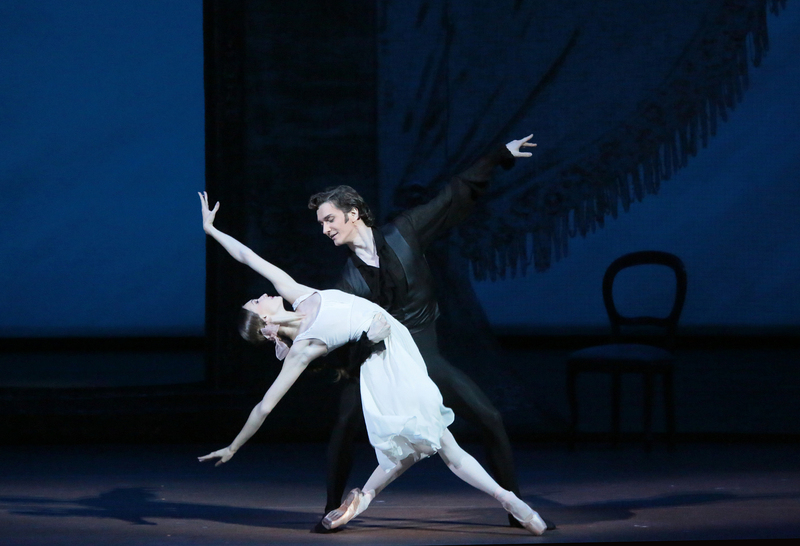 In an ode to Russian literary classics, the Bolshoi presented a short marathon of four performances of John Cranko's Evgeny Onegin in early October. Ekaterina Krysanova and Vladislav Lantratov danced the leading roles in the second of four performances, with Anastashia Stashkevich and Semyon Chudin as Olga and Lensky, respectively. Cranko's work is a genius depiction of the Russian poem-novel in visual, stage form. At the first curtain we view this Russian family on the lawn behind their countryside home, Olga preening in front of the mirror, and Tatiana quietly consumed in a book. The choreography expertly highlights the personality difference between the two sisters: Olga's jubilant cheer, hopping around between the various ladies, and Tatiana's dreamy and withdrawn nature. Stashkevich ebullience seemed endless as she teased Krysanova, stealing the book out of her hands. In turn, Krysanova's calm pensiveness suggested an other-worldly girl, lost in her own thoughts. Following several nights of opera, the Bolshoi Theatre opened its ballet season on 18 September with the requisite performance of Swan Lake featuring Svetlana Zakharova and Denis Rodkin in the leading roles. While no one, not even Soviet ballet icon Yuri Grigorovich, can improve upon the beauty of Petipa classics, Grigorovich's choreographic talent comes through in the sections devoted to male dancing and his ability to pare down the classics to the bare minimum. There are elements that he retains in faithfulness to Petipa: the Bolshoi Lake style features soft elbows for the Prince, basic adherence to the "original" choreography for the White and Black adagios, and a focus on large corps sections throughout. Purists should be forewarned: the musical score is cut in numerous places so that 3 hour and 15 minute traditional 3-act version that runs at the Mariinsky Theatre is now just 2 acts that finish in 2 hours and 40 minutes. You've been at the helm of the Stanislavsky over a season now. Have you noticed changes in the dancers since you arrived? Yes. There is a certain consciousness about work, in a way. I think the company pays attention to work and they have learned and grown, they've gained maturity, they've become aware of what I want in terms of the form of work. The basis of academicism is the same everywhere, so that is unchanged. You can make it come alive in various ways, but the quality of work itself, that is what I demand of them. 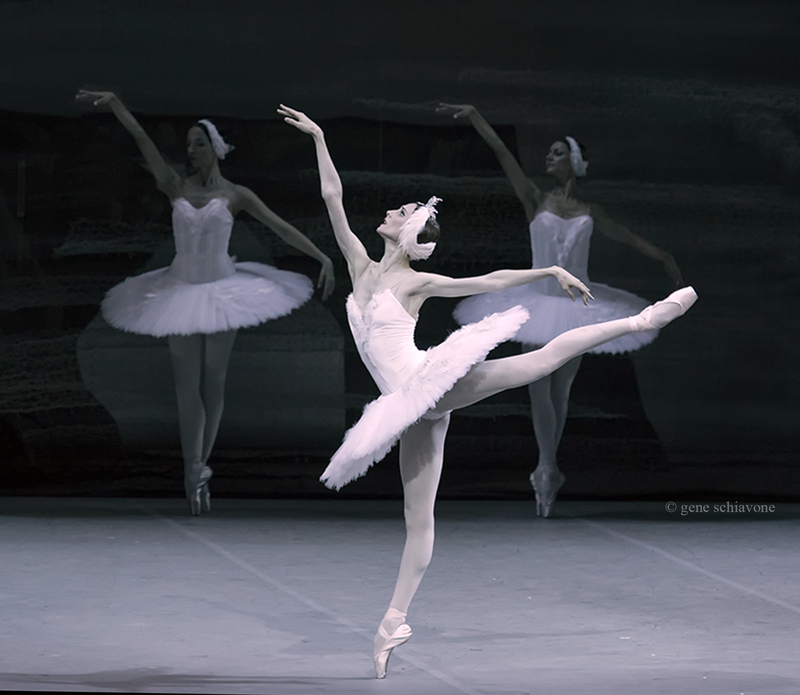 In Russia, we have an extremely large ballet public and the classical traditions. In Europe they are things that are at the same afraid of speed and i think we have to pay attention to that. The young generation of Instagram and Facebook has a need to be able to identify with the large classical ballets. So its truly the quality and the way you make these ballets come to life that will allow us to preserve those links between the repertoire and the public of tomorrow. Today Bolshoi Ballet soloist Igor Tsvirko bid an official farewell on Instagram (see screenshot above) to the theatre he has called his home for the past 11 years. Mr. Tsvirko has accepted a contract with the Hungarian State Opera and Ballet Theatre in Budapest. We wish him all the best in this next chapter of his life! Yuri Grigorovich has become more than just an icon in the Moscow ballet scene. He's a living legend who commands respect from the entire world of ballet for his long choreographic and artistic career. His venerable productions include undeniable masterpieces that have not only remained in the repertoire of the Bolshoi Theatre for decades, but been adopted worldwide and even used as sources of inspiration for other creators as well. Two of his first works, The Stone Flower and Legend of Love, are still routinely danced at the Mariinsky Theatre, while the latter also performed at the Stanislavsky. 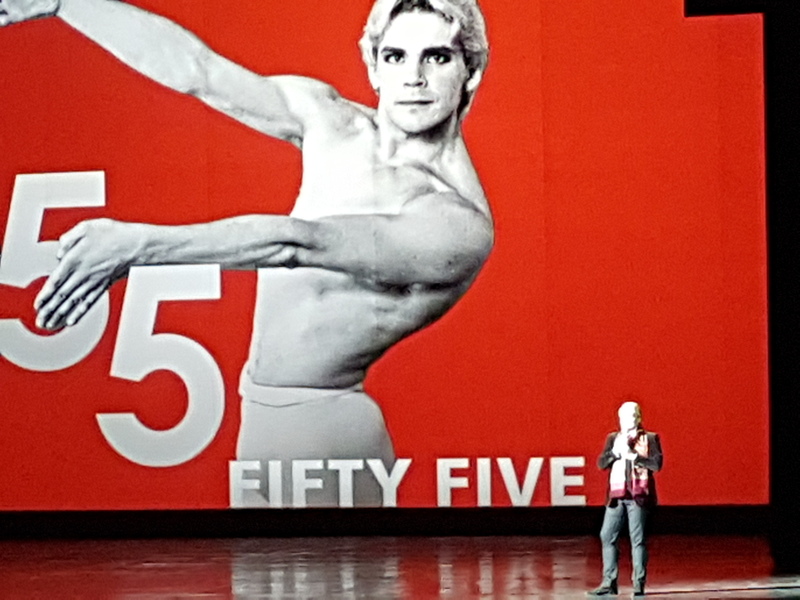 On 8 April 2018, his production of Spartacus reached its 50th birthday, and the Bolshoi Theatre honoured the event with a video presentation, an all-star group of dancers, and members from the original cast as invited guests. 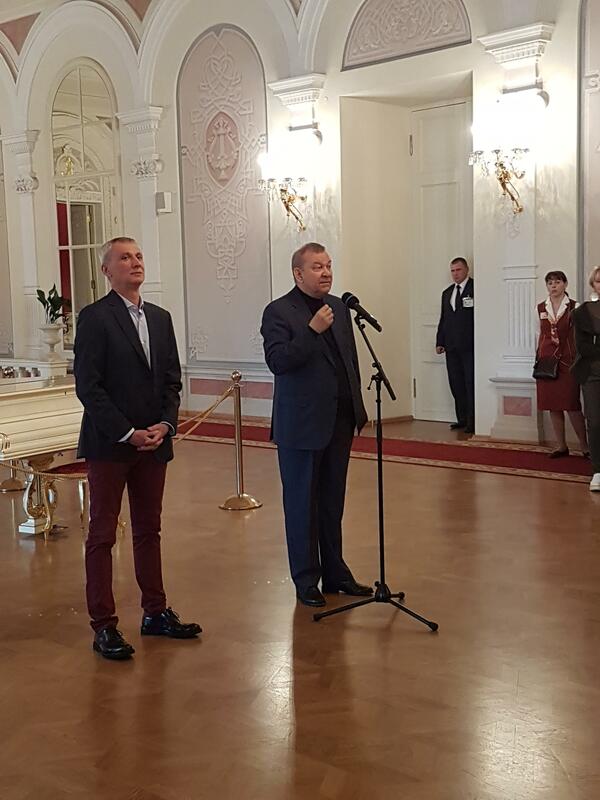 Mikhail Lavrovsky, Ludmila Semenyaka, Mark Peretokhin, Boris Akimov and others sat in orchestra seats and were acknowledged by spotlight with words of respect from Vladimir Urin, General Director of the Bolshoi Theatre. Grigorovich himself, sitting in the Director's box, stood to receive a bouquet of roses from the performers and a standing ovation from the audience at the end of the evening. The inclusion of guest stars, such as those from the Bolshoi, was no doubt done to underscore the historical weight of the Mariinsky Theatre's Petipa festival this March. Another such star was Marcelo Gomes who performed with American Ballet Theatre for 20 years, and who has previously participated in the Mariinsky's annual ballet festival both as a dancer and a choreographer. Gomes, a veteran principal dancer who hails from Brazil and is perhaps best known for being Diana Vishneva's constant partner during her ABT contract, is also a blossoming choreographer in his own right (he just set a new work with the Washington Ballet). But on stage he's known for his solid technique and strong acting skills, traits he brought to Saint Petersburg for this landmark appearance. It's no secret to those in the know that Maria Alexandrova and Vladislav Lantratov are two lovebirds ("Vlad" and "Masha") whose deep connection is visible both onstage and off. VaganovaToday sat down with the power couple to talk about their personal and professional lives, their insights about ballet, and their dreams for the future. How did each of you get started in ballet? 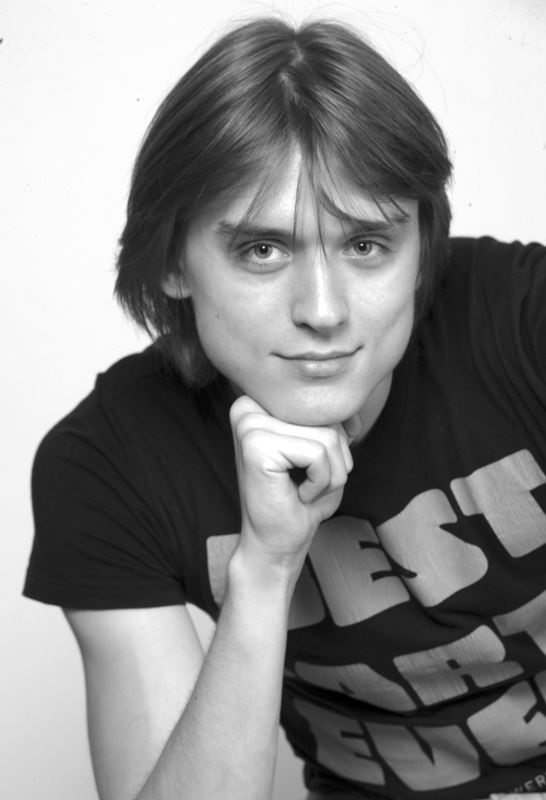 Vladislav: My parents worked at the Stanislavsky, mom was a leading character dancer, my father was a leading premiere danseur and my brother attended the Moscow Choreographic Academy and joined the Bolshoi. I did the same. As I recall there was no discussion if I want to start ballet or not, I loved spending time at home in the courtyard with other boys my age, but later when I started to perform, it drew me in and even now it still does. You trained at the Gjel school of ballet, but how did you start dancing? It was absolutely my mother's desire, because I don't know a young man who would want to start dancing on his own. There is one such man, Nikolai Tsiskaridze, he is the only who wanted to start ballet on his own. But all the rest of my friends were sent to start ballet by their parents. For me at the very start the profession I didn't really like it or enjoy studying, but at one point it started to draw me in and I began to look at it in another way. I had several pedagogues there at Gjel, first a female because it's usually done that way, the main fundamentals are taught by females and then there is a transition to men's work where a male teacher must understand the details of technique and how to do a specific movement correctly. Then my last two teachers were men. I graduated under Alexei Alexandrovich Evdokim, who had been a soloist at the Bolshoi. 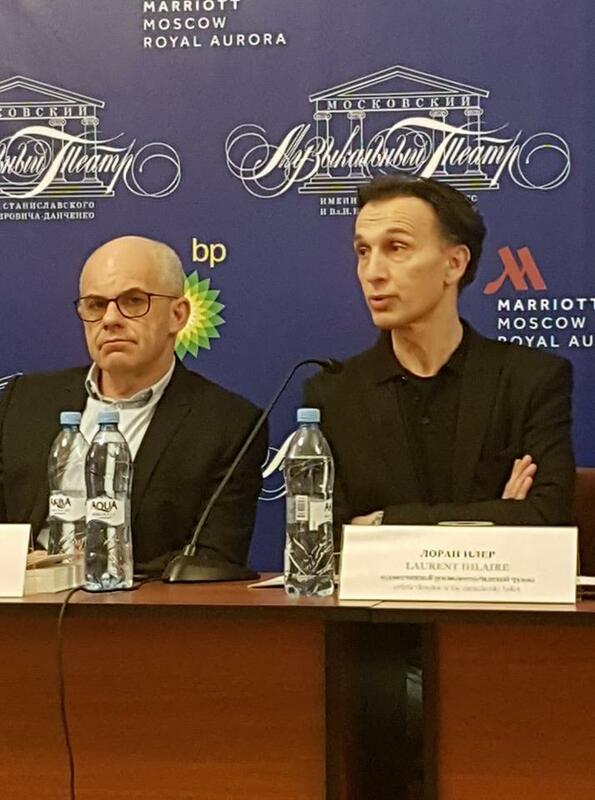 The Bolshoi Theatre held a press briefing today in order to clarify the postponement of the much-awaited premiere of Nureyev, a ballet choreographed by Yuri Possokhov with a libretto by Kirill Serebrennikov, and originally slated to premiere tomorrow, 11 July. Vladimir Urin, General Director of the Theatre, spoke uninterrupted for approximately 20 minutes, explaining that the production had not been cancelled or removed but delayed until May 2018 due to its large-scale requirements. The production includes elements of spoken text (both English and Russian), a chorus, numerous set changes, as well as dance. Urin underscored that none of the original choreography or components of the libretto would be changed between now and May, and that the production simply required more time to perfect and polish. Those who purchased tickets from the Bolshoi box office will be given full refunds. "Tonight, your efforts allowed me to forget I 'm an artistic director and simply enjoy the dance," such were the comments from Laurent Hilaire during the reception following the Stanislavsky Ballet's long-awaited triple bill that premiered on 7 July 2017. Hilaire's words underscored the troupe's high level of artistic achievement during the challenging evening that included works by Serge Lifar, Jiri Kylian and William Forsythe, the first and last of which premiered for the first time in Russia. Hilaire, brought to the company at the start of this calendar year, has already made sweeping changes in the troupe by importing new choreographers and adding a significant number of works to the repertoire. Maintaining strict adherence to the dancers' rights to days off (a policy blatantly ignored at the Mariinsky for decades), his respect for the art form, and in-depth, creative, yet humble approach is pushing the Stanislavsky forward to compete against its neighbour the Bolshoi. In fact, the morning after this premiere, the long-awaited Bolshoi production by Yuri Possokhov, Nureyev, was put on hold indefinitely, it's premiere previously slated for 11 July now cancelled until an undetermined date. Perhaps simple coincidence in timing, but a juxtaposition that nonetheless highlights the growing strengths of this "smaller" Russian troupe now under Hilaire's direction. 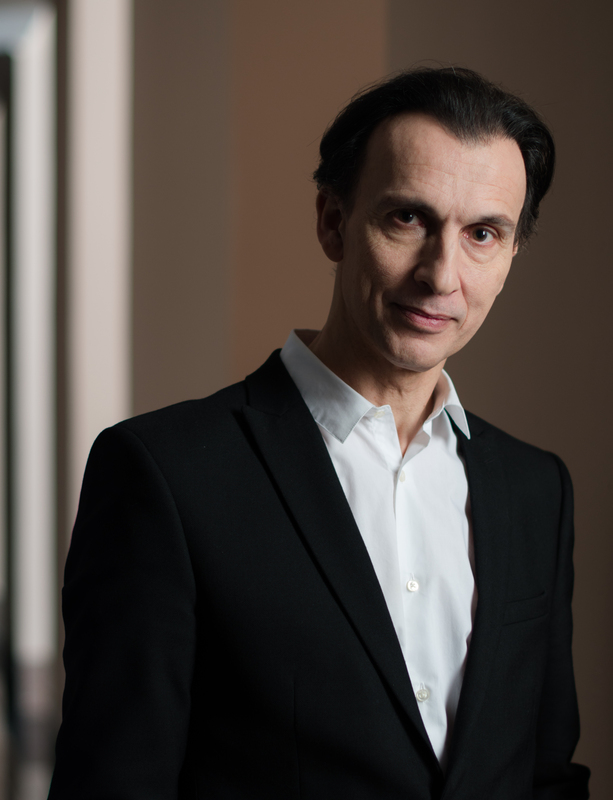 Laurent Hilaire, former étoile with the Paris Opera and, since 1st January this year, artistic director at the Stanislavsky Ballet in Moscow, has spent a lifetime with leading figures in the world of ballet. Promoted to étoile under Nureyev, and having worked alongside Brigitte Lefevre in the Paris Opera Ballet administration, his experience spans both stage time and management roles. Hilaire's elegant manner recalls a French nobleman of a past era: tall and graceful, he emits a quiet yet magnetic energy that is uniquely endearing. 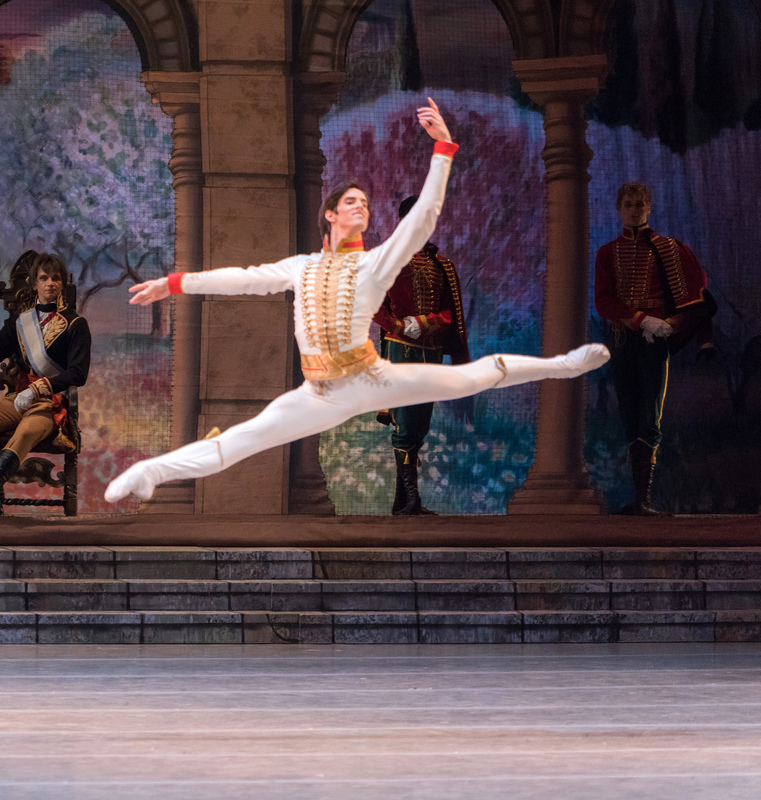 We sat down to discuss his career and his new role in one of Russia's leading ballet theatres. 02 June 2017 update: Due to the unexpected and untimely death of Sergey Vikarev, the plans listed below are now subject to change. The Nemirovich -Danchenko Stanislavsky Theatre, first founded in 1919 as a musical studio under the Moscow Artists Theatre, quietly assumes second place in Russia's capital, often overshadowed by the larger fame of the neighboring Bolshoi. But boasting hidden stores of talent within, this smaller gem in the crown of Moscow's ballet scene is nonetheless a high level troupe worthy of accolades. With a handful of top-notch ballerinas and an impressive repertoire, the Stanislavsky has much to offer. Currently headed by Laurent Hilaire, formerly of the Paris Opera Ballet and who plans to add both classical and contemporary works to the repertoire, the troupe's future, at least short-term, seems bright indeed. Act I began with a Moscovian version of Chopiniana, slightly altering from the classical purity in choreography shown at the Mariinsky. A faster tempo throughout replaced the usual legato flavour of the piece. Here a swivel step is changed to a clear faillé tombé, and the standard first position port de bras shifted to a folded elbow with the hand near the ear. The heads of the corps de ballet sylphs alter positioning based on the breath of their arms (at points where the Mariinsky version does not shift the head position). Port de bras during the tour jeté pose during the Waltz in G Flat major were shifted to an allongé position rather than first position overhead, done at the Mariinsky. Graduate Ekaterina Fateyeva danced a swift Prelude but maintained the lyrical feel of the section. 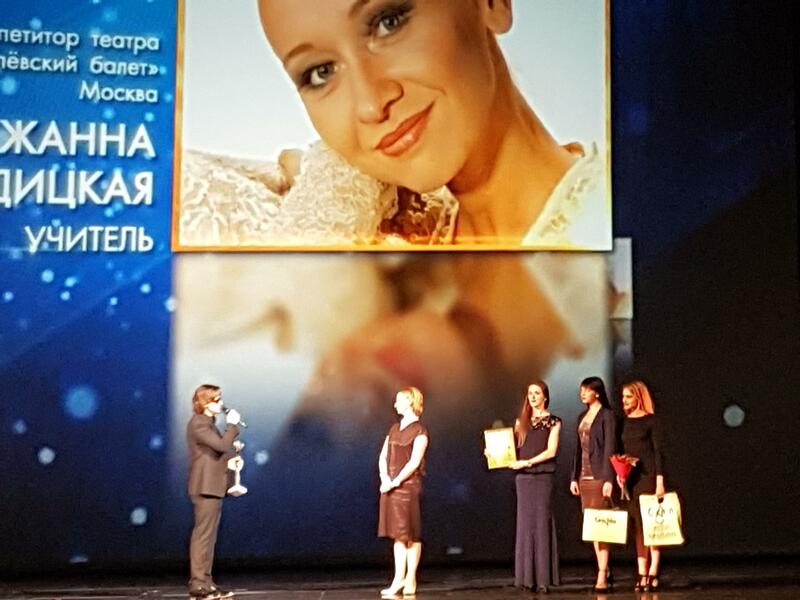 A little known awards ceremony, the "Spirit of the Dance" awards, was held at the Stanislavsky Nemirovich - Danchenko Theatre in Moscow on 27 April to honour the winners from 2016 in categories ranging from rising stars to talented pedagogues and even informative ballet critics. The evening, structured in a format that combined award ceremony with gala concert, interspersed the presentation of awards with short numbers acknowledging each winner. Though running nearly 4 hours, specific dancing highlights punctuated the evening that covered a range of styles from folk to classical ballet. The first artist to make his mark during the evening, Yuri Kudryavtsev, performed the pas de deux from La Sylphide alongside Ekaterina Bulgutova. Both leading soloists form the Kranoyarsk Theatre of Opera and Ballet, Kudryavtsev is a tall young man with clean beats and light ballon with a promising future ahead of him. The programme notes for the premiere of Paquita at the Mariinsky emphasize the fact that the ballet is not a revival of the mid-19th century ballet by Petipa, but a new creation based heavily on Cervantes' novella, The Little Gypsy Girl. That much is evident from the libretto, set around the idea of a royal baby stolen and raised by gypsies who falls in love with a high-ranking officer and ultimately finds her real parents. This new version differs widely from the original libretto from 1846. That 1846 ballet also depicts Paquita living with gypsies, but focuses on a visiting French General who wants his son, Lucien, to marry the Spanish governor's sister (at the time, Napoleon had just occupied Spain, highlighting political ties between the two countries). Lucien falls in love with Paquita instead. - Premiere of Balanchine's Serenade for the first time at the Stanislavsky as part of a mixed bill including Paul Taylor's Aureole, Jacques Garnier's Aunis and Alexandr Ekman's Tulle. - 23 and 24 April 2018, an evening dedicated to the 200th Anniversary of Marius Petipa with a three-part programme including the participation of students from the Paris Opera Ballet School, the Perm School, and the Stanislavsky troupe. - Coppélia will also return to the Bolshoi.